Studies indicate that PPI medications such as Prilosec, Nexium, Prevacid and others, used to control stomach acid, may increase the risk of chronic kidney disease. McCorvey Law, LLC is offering free consultations for anyone who may have suffered kidney failure or have been diagnosed with chronic kidney disease after daily use of the prescription strength Prilosec or Nexium, or over the counter Prilosec or Nexium (Brand name only). For more information please fill out the contact form above or call us directly at 1-888-291-2431. A study published in the February 2016 issue of JAMA, the Journal of the American Medical Association, has shown that use of PPI medications may increase the risk of chronic kidney disease (CKD), also known as chronic renal failure. An examination of the medical records of over ten-thousand patients showed that for those taking PPIs, the risk of CKD increased by 20 to 50%. Another study, presented at the American Society of Nephrology meeting in the fall of 2015 had shown similar results and both indicated that the longer or more frequently the medication is taken, the greater the risk may be. The CKD results followed a June 2015 study which showed that patients taking PPI medications may also be at a 16 to 21 percent increased risk for myocardial infarction or heart attack. In addition, PPIs have been linked to other serious adverse events such as hypomagnesemia and bone fractures. PPIs are also thought to increase the risk of acute kidney events, acquired infections and birth defects though the FDA has stated that no direct causal relationship has been confirmed. 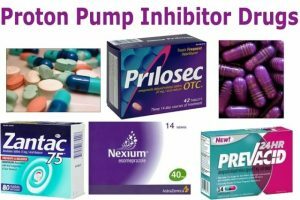 Many of today’s most popular heartburn medications are PPIs, including Nexium, Prilosec, and Prevacid. The OTC versions were not included in any of the study data but researchers indicate that up to 70 percent of PPI use may have been started without a clear indication and that 25 percent or more could be discontinued with no side effects. You may be entitled to compensation for your pain and suffering, present and future medical care, and other losses stemming from your injuries. For more information please click on the Submit Your Case button or call us directly at 1-888-291-2431.